The 2015 Faculty Exhibition at the Bell Gallery offers works by more than 20 Brown faculty in the visual and creative arts. The exhibition runs through Monday, Dec. 21, 2015, and will include performances by music faculty and a student dance performance inspired by the exhibition. PROVIDENCE, R.I. [Brown University] — More than 20 Brown University faculty in the visual and creative arts will present works in the 2015 Faculty Exhibition. Works will be on display at the David Winton Bell Gallery from Saturday, Nov. 7, through Monday, Dec. 21, 2015. The exhibition also includes performances by faculty in the Department of Music on Monday, Nov. 9, and a student dance performance inspired by the exhibition on Saturday, Dec. 12. By expanding the selection of works beyond just the visual arts, this year’s exhibition reflects the creative, cross-disciplinary spirit that is integral to the arts at Brown. “The 2015 Faculty Exhibition showcases the diverse artistic practices that are fostered in departments across the University, from the visual arts to works by faculty artists who work in new media, performance, literary arts, and music,” said Jo-Ann Conklin, director of the Bell Gallery. Interaction and participation are shared concerns for many of the artists. Elizabeth Donsky’s ink drawings installed on a clothes rack allow visitors to handle and sort through her work. Butch Rovan’s collaboration with Jerry Mischak is a musical sculpture that can be played by touching its surface. John Cayley’s The Listeners invites visitors into a sound booth to converse with the computer intelligence Alexa. Similarly, Todd Winkler’s installation allows visitors to peel away layers of video images by moving, while Paul Myoda’s interactive sculpture transforms the List Art Center lobby into a kinetic display of light, shadow, and form. The intricate network of ink lines in Martin Smick’s drawing Elemental Mutations shares a sensibility toward surface and texture found in Theresa Ganz’s photographs Serpentine 1–4. Explorations of surface, landscape, and place echo between Ed Osborn’s treatment of Antarctica in flyover, Forrest Gander’s poetic treatment of the desert in The Trace: feverdream, and Leigh Tarentino’s paintings Abfluent Exurbs and Hedgespiration. Richard Fishman’s carbon fiber and elm slab sculpture finished with a flowing epoxy surface introduces a theme of translation and transformation between states, media, and forms, a sensibility complemented by Eddie Villanueva’s Platform, which translates a historic aerial photograph of the Beatles into a wall-mounted sculpture. Similarly, Leslie Thornton’s Binocular Menagerie transforms animals into kaleidoscopic compositions of repeated forms, colors, and textures. 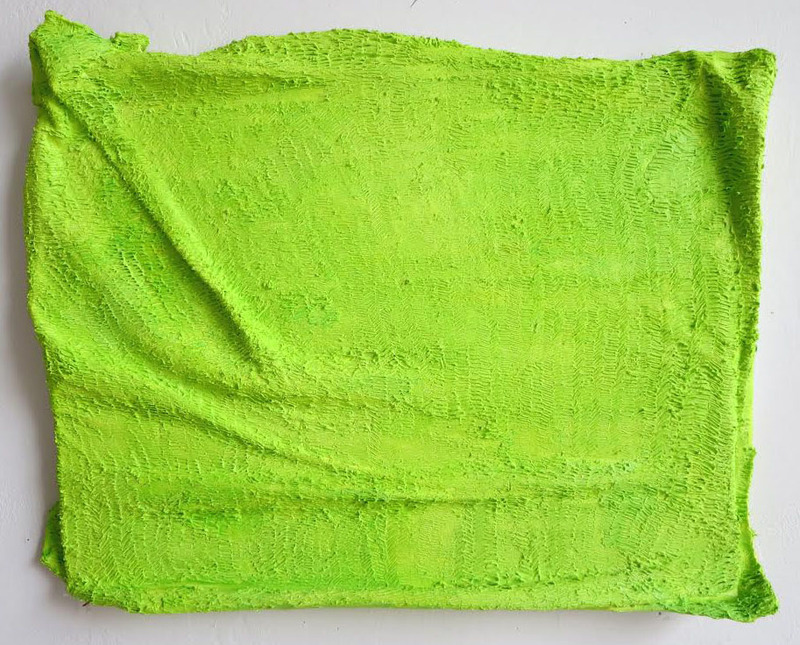 Hilary Doyle’s paintings of towels and washcloths are subtle studies of tone and texture of everyday man-made things, a sensibility shared with Ellie Iron’s installation of color palettes derived from plants from Bushwick and the Rocky Mountain Biological Laboratory. Similar tonal and textural exploration is also found in Leslie Bostrom’s new works in watercolor with propane torch and lecturer Kathryn Parker Almanas’s still-life photographs of flowers and fruit knit together by fabric and thread. Overtones of social and political critique are found in Tony Cokes’ exploration of appropriated text to address fascism in his video Face Value Pt. 1 (LvT), while Khalid Kodi’s watercolor Bashir and Hassan confronts iconic dictators of Africa with his style of colorful abstraction. 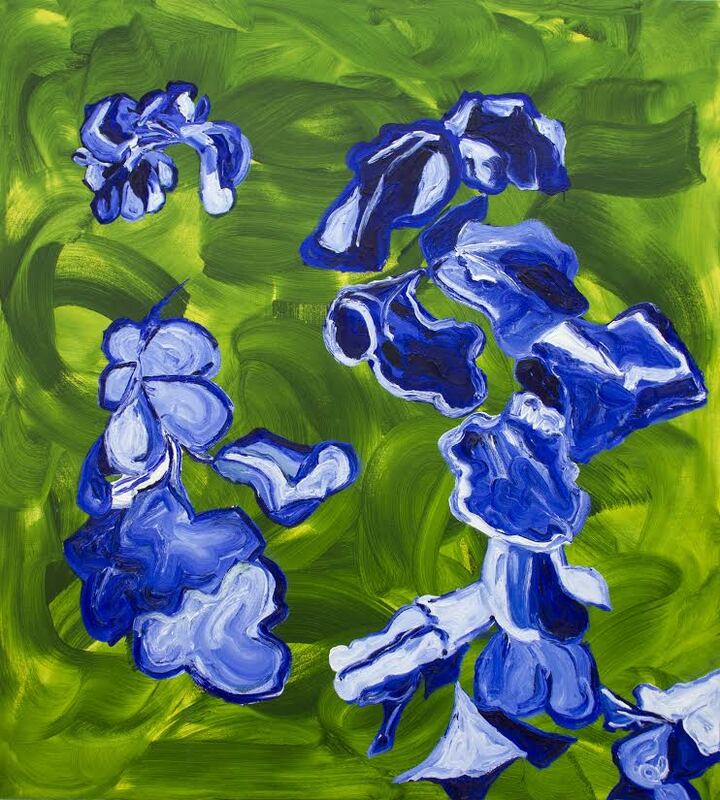 Similarly, Wendy Edward’s new paintings continue her ongoing negotiation of male masters’ depiction of flowers, transforming what may be art historical references into painterly meditations on substance and flow. On Nov. 9, 2015, a performance at the Granoff Center by faculty members of the Department of Music will feature Wang Lu and Eric Nathan, two new additions to the faculty, as well as long-time faculty member Butch Rovan whose performances bridge traditional instrumental performance with video and electronic music. Throughout the exhibition, students from Michelle Bach-Coulibaly’s dance composition class will create performance pieces in response to the artworks. The pieces will be performed on Dec. 12, 2015, at 8 p.m. in Ashamu Dance Studio. The David Winton Bell Gallery is on the first floor of List Art Center, 64 College St. The gallery is open from 11 a.m. to 4 p.m. Monday through Wednesday and Friday, 1 p.m. to 9 p.m. on Thursday, and on Saturday and Sunday from 1 p.m. to 4 p.m. For more information, call 401-863-2932 or visit brown.edu/bellgallery.